Don't forget the duty free shopping on St. Croix! There are no customs duties on most merchandise, and there are no local luxury or sales taxes. U.S. citizens are allowed a duty-free shopping quota of $1,200.00. Additionally, an unlimited number of gift packages, worth $100 or less, may be mailed to family and friends. Citizens may also bring back up to five cartons of duty-free cigarettes and five fifths of US liquor duty-free. An extra fifth can be taken if it is an U.S. Virgin Islands product such as Cruzan Rum. Shoppers can find kitchenware, crystal, jewelry, perfume, cosmetics, liquor, and cigarettes at prices up to 50% below what they would likely pay for the merchandise elsewhere. Of course, it is fun to buy local art and crafts as well. St. Croix has several outlets in which to buy woodwork and other crafts by local artisans. Be sure you don't go home without a St Croix Hook bracelet! There are many shops throughout the island, particularly in Frederiksted and Christiansted. Christainsted has the bulk of the shops on St. Croix with Frederiksted having several shops along the waterfront and in the streets and alleys around the town. Other shopping areas worth a visit are in Christiansted at Gallows Bay, Pan Am Pavilion and Caravelle Arcade. Cost-U-Less the two Kmarts on the island have great prices for liquor. The following information is just a guide to the kind of shops that you will find. Some stores may no longer be in business while you will find other new stores not listed. Hot Heads - Hats, Accessories & Swimwear. Tel/Fax 340-773-7888. 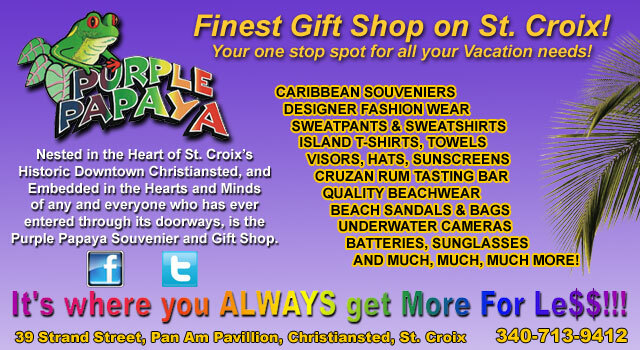 Purple Papaya - 340-713-9412 - 39 Strand Street, Christiansted, St. Croix - Nestled in the heart of St. Croix's historic downtown Christiansted, and embedded in the hearts and minds of any and everyone who has ever entered through its doorways, is the Purple Papaya Souvenir and Gift Shop. 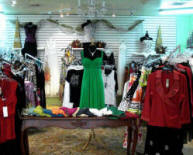 At Trends Boutique you will find the latest women’s fashions, dazzling jewelry, beautiful purses, sandals and more! This charming store is filled with numerous, unique items for any budget. 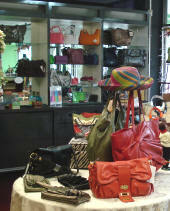 With our frequent new arrivals and a wide selection for any occasion, it is always fun to shop here. You’ll discover that Trends is a treasure. And whether you are shopping for yourself or buying gifts, you’ll be sure to find your treasure at Trends! St. Croix Landmarks Museum Store - Visit our Museum Store that has a cornucopia of West Indian crafts, art print, reproduction furniture, and Caribbean maps. Visit us at the Whim Museum Store in Frederiksted. 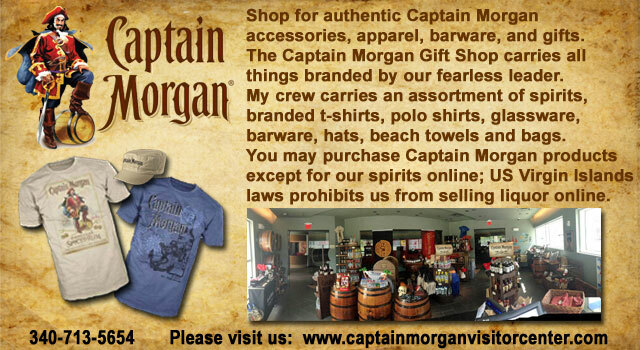 Store hours are Monday-Saturday 10:00-4:00pm. Located mid-island in the Sunny Isle Shopping Center and specializing in 10k, 14k, and 18k jewelry, gemstones, diamonds, silver, watches, cameras, perfume, sunglasses, and much more! Perfection Jewelers! 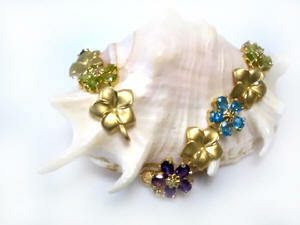 Custom Jewelry also available.